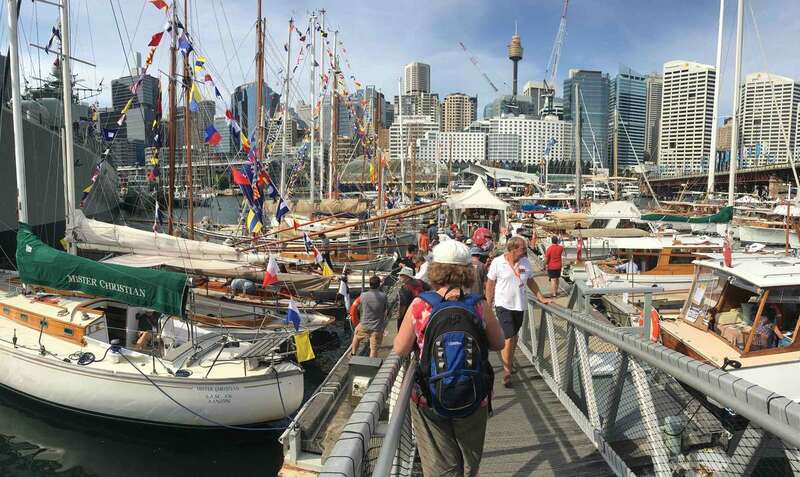 Join us this weekend to celebrate the beauty and diversity of Australia’s heritage vessels and meet their craftspeople at the Classic & Wooden Boat Festival. Image: The 2016 Classic & Wooden Boat Festival / ANMM. 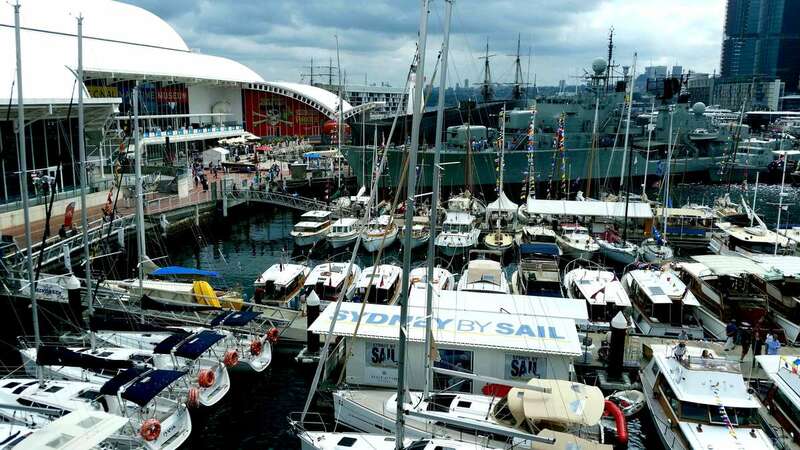 The much anticipated Classic and Wooden Boat Festival is on at the Australian National Maritime Museum, Darling Harbour in just a few days, starting Friday 13th April and winding up on Sunday afternoon, 15th April. It’s a huge display of vessels, along with food and trade stalls as well as family-friendly entertainment, throughout the three days. 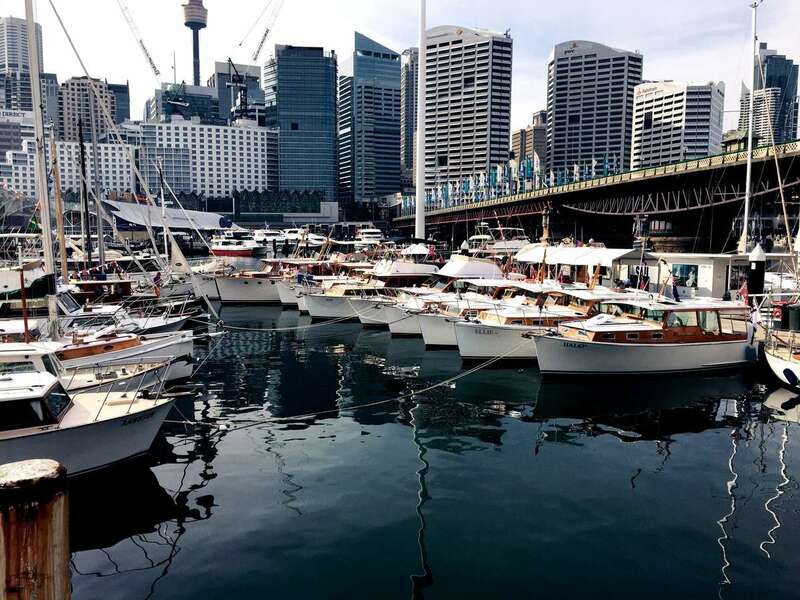 Some of Australia’s most outstanding and prominent craft are coming once again to show off their style and elegance, while highlighting the craftsmanship that goes into maintaining these vessels. SY Ena and Hurrica V will be centre stage. Both were built by WM Ford boatbuilders and have undergone multimillion-dollar rebuilding and restoration projects. They exemplify classic Edwardian elegance, reflecting their original status as gentlemen’s yachts, one of steam and one with sails. Hurrica V, at the Classic & Wooden Boat Festival in 2012. Image: ANMM. Both yachts also went to war: SY Ena was HMAS Sleuth during World War I, while Hurrica V fought in the waters of Papua New Guinea in World War II as HMAS Stingray. They both have led colourful lives but are now wonderful examples of a bygone era. Joining SY Ena and Hurrica V two other gentleman’s yachts, the schooner Boomerang from Sydney Heritage Fleet and new to the show Landseer III, a yawl that is an example of the Edwardian tradition of a smaller yacht, being just over 40-feet long. These boats were built nearby, across the water in Berrys Bay and McMahons Point. SY Ena, Landseer and Boomerang are all Walter Reeks designs, but another lovely craft from the Fords is Sao, which, at around 25 feet long, shows they also built small craft when given such an order. An equally elegant craft making its first appearance is the long and lean Defiance, an Ernest Digby designed and built yacht originally from Victoria. Its colourful career included racing in the Sydney to Hobart. 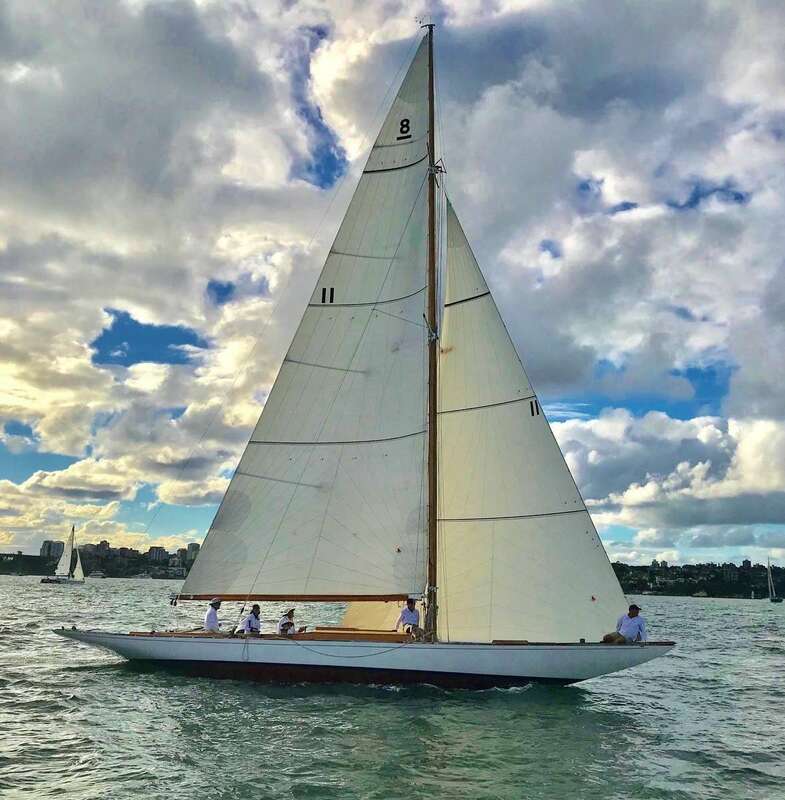 Defiance was given an extensive restoration by its current owner and, in fact, continues to regularly race on the harbour, often winning its division. Its matched by the six metre Sjo Ro and both epitomize the proportions of the ‘Metre’ boats from the 1920s and 30s (which incidentally, led to a large number of classic craft being designed and built to the Metre boat rule). Defiance is making its first appearance at the Classic & Wooden Boat Festival. Image: ANMM. The festival is once again bringing together classic craft to show off their shared stories and relationships. Kelpie (from 1893), Jenny Wren (from 1889) and Akarana (from 1888) are fine examples of early Sydney yachting. All three are gaff cutters, which raced for decades and show how the ‘plank on edge’ boats of the 1880s transformed into more wholesome designs with a greater beam by the early 1890s. They also all have similar clipper bows and long overhanging sterns. Also in attendance, are the three yachts once owned by Sydney marine artist and round-the-world sailor Jack Earl. His original yacht, Kathleen Gillet, which circumnavigated the world during 1947/48, is joined by his next yacht Maris, an elegant Alan Payne Tasman Seabird design, and finally, his last yacht – a real gem – the little Len Randell designed Smoky Cape. One group that always puts on a show is the Halvorsen Club fleet. These are collectors’ items, but you need to be a special collector to take on restoring a big 65-foot long luxury cruiser like Silver Cloud. Silver Cloud is a stunning example of craftsmanship, both past and present, but some of the smaller Halvorsens are brought up to a similar standard too. The majestic Halvorsen Club at the 2016 Classic & Wooden Boat Festival. Image: ANMM. Onshore will be some exciting powerboats, the traditional 18-foot skiff Yendys as well as rowing craft. Within the fleet are many working crafts represented such as the tug Van. They have classic lines and are now well cared for as private vessels. This highlights one of the key reasons why so many heritage vessels survive: they move into a new life as a recreational craft. 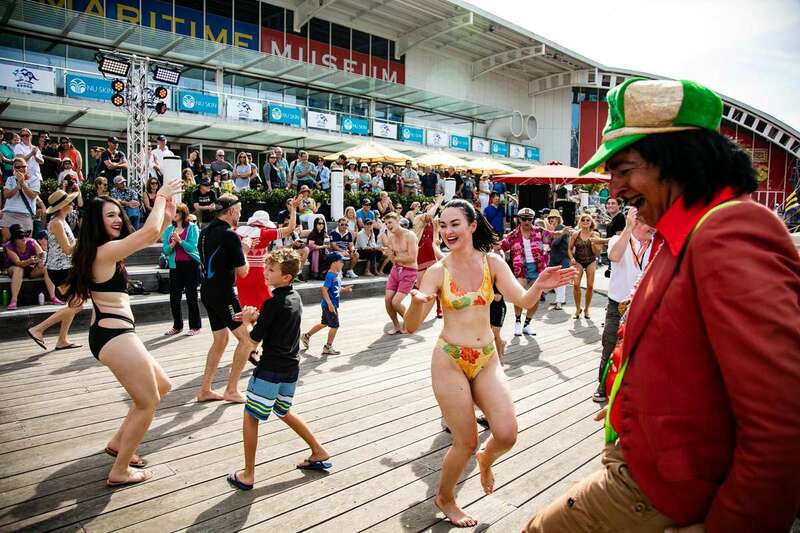 Two events which are always a hit during the festival are back: the parade of swimsuits through the ages and the Quick ‘n’ Dirty boat building challenge. 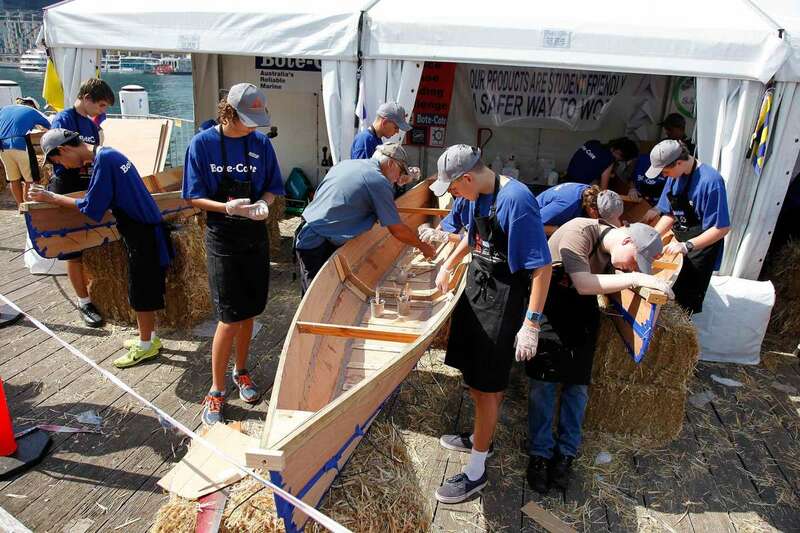 They may not be classic designs, but these boats always entertain the spectators while they are being built – and even more so when they are launched, as there are always a few spills along the short course they attempt to paddle and/or sail on. Enjoy our showcase of colourful cossies through the ages, with a tongue-in-cheek trip through the museum’s swimwear collection. Image: Andrew Frolows/ANMM. Catch the teams trying to build a boat in a day. Image: Andrew Frolows/ANMM. 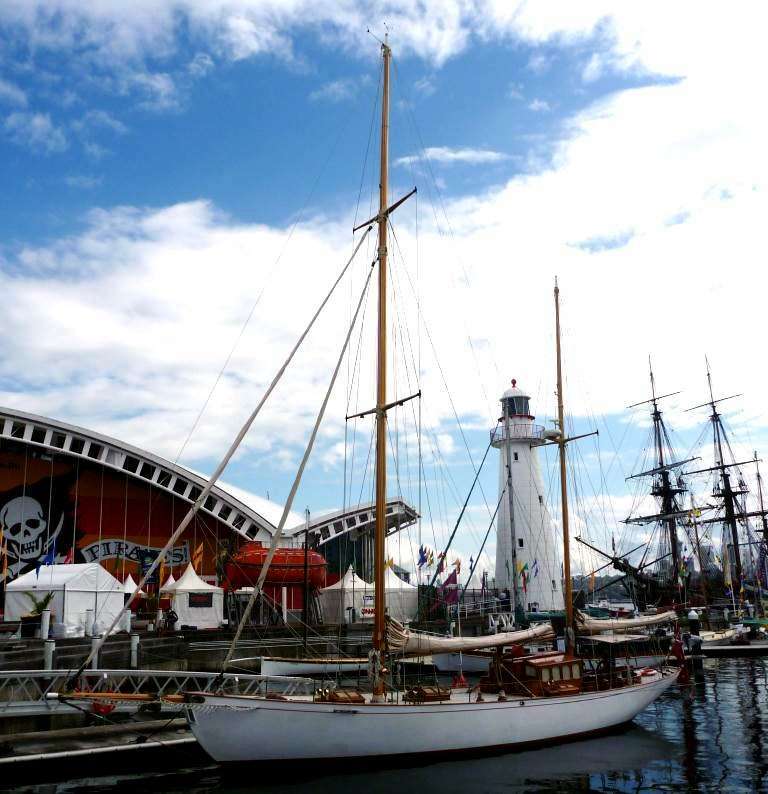 See over 100 classic & wooden boats at the Festival. Image: Andrew Frolows/ANMM. Join us 13-15 April 2018 to celebrate the beauty and diversity of Australia’s heritage vessels and meet their craftspeople at the Classic & Wooden Boat Festival. Entry is FREE to see over 100 vessels on display at the museum and Cockle Bay Marina including Halvorsens, yachts and skiffs, classic speedboats, steam launches, tug boats, whalers and Navy workboats from all around Australia.